Abstract: Audio Watermarking is the process of embedding information into a signal in a way that is difficult to remove. If the signal is copied, then the information is also carried in the copy. Audio Watermarking has become increasingly important to enable copyright protection and ownership verification. This paper investigates the use of wavelet transform for denoising audio signals contaminated with noises. Keywords: Wavelet transform, watermarking, attacks, de-noising. 1. Abbate A, Decusatis C. M, Das P. K. “Wavelets and subbands: fundamentals and applications,” ISBN 0-8176-4136-X, Birkhauser, Boston, USA,2002. 2. Przemysław Dymarski and Robert Markiewicz Robust Audio Watermarks in Frequency Domain 'journal of telecommunications and information technology,2014,2,pp 12-21. 3. F. Hartung, M. Kutter, “Multimedia Watermarking Techniques”, in Proceedings of the IEEE, vol. 87, no.7, pp. 1079-1107, Jul. 1999. 4. C.S. Xu, D.D. F, “Robust and Efficient Content-based Digital Audio Watermarking”, Multimedia Systems,vol. 8, pp. 353-368, 2002. 5. W. Bender, D. Gruhl, N. Morimoto, and A. Lu, “Techniques for Data Hiding,” IBM Systems Journal, vol.35, no. 3&4, pp. 313-336, 1996. 6. Editors: B. Furht, D. Kirovski, Multimedia Watermaking Techniques and Applications, Auerbach Publications, Boca Raton, Fla., 2006. 7. S. Xiang, “Audio watermarking robust against D/A and A/D conversions”,EURASIP J. Adv. Signal Proces., vol. 2011:3, 2011. 8. M. Navneet Kumar, “Watermarking Using Decimal Sequences,” M.S. thesis, Louisiana State University, Baton Rouge, LA, USA, 2004. 9. V. K. Bhat, I. Sengupta, and A. Das, “Audio Watermarking Based on Quantization in Wavelet Domain,” ICISS 2008, LNCS 5352, pp. 235 -242, 2008. 10. S. Katzenbeisser, and F.A.P. Petitcolas, Information hiding techniques for steganography and digital watermarking, Artech House Publishers, 2000. 11. C. Nedeljko , “Algorithms For Audio Watermarking And Steganography”, Academic Dissertation, University of Oulu, public discussion in Kuusamonsali (Auditorium YB210), Linnanmaa, Finland, 2004. 12. Katzenbeisser, and F. A. P. Petitcolas, Information Hiding Techniques for Steganography and Digital Watermarking, Artech House, Inc. 2000. 13. S.A. Craver, B. Liu, and M. Wu, “What can we reasonably expect from watermarks? Applications of Signal Processing to Audio and Acoustics.” IEEE Workshop on 10/21/2001 -10/24/2001, pp. 223-226, 2001. 14. J. Bloom, I. Cox, T. Kalker, J. Linnartz, M. Miller, and C. Traw. “Copy protection for DVD video,” Proceedings of the IEEE, vo. 7, Issue 87, pp. 1267- 1276, 1999. 15. K. Hofbauer, and H. Hering, “Noise Robust Speech Watermarking with Bit Synchronisation for the Aeronautical Radio,” LNCS 4567, Springger-Verlag Berlin Heidelberg, pp. 252-266, 2007. 16. F.A.P Petitcolas. “Watermarking schemes evaluation,” IEEE Signal Processing Magazine [Online], Volume 17, Issue 5, pp.58-64, 2000. 18. http://www.sdmi.org/download/FRWG00033102-AMD1.htm [Accessed July 15. 2010]. 19. V. K. Bhat, I. Sengupta, and A. Das, “Audio Watermarking Based on Quantization in Wavelet Domain,” ICISS 2008, LNCS 5352, pp. 235 -242, 2008. 20. X. Wang, and H. Zhao, “A Blind Audio Watermarking Robust Against Synchronization Attacks,” CIS 2005, Part II, LNAI 3802, pp. 617-622, 2005. 21. E. Zwicker, and H. Fastl , Psychoacoustics. Springer Verlag, Berlin, Germany, 1999. Abstract: In the embedded system the Processors are the computing elements. Most of the embedded systems are portable battery powered systems. The system depends on the battery life, which is determined by the power consumption of the entire system. So This paper Shows and presents -from starting of the embedded system definition- the factors of power consumption of an embedded system Processor. 1. V. Tiwari, S. Malik, and A. Wolfe, “Power analysis of embedded software: A first step towards software power minimization,” Proc. Int. Conf. Computer-Aided Design, Nov. 1994. 2. C.-T. Hsieh, M. Pedram, G. Mehta, and F.Rastgar, “Profile-driven program synthesis for evaluation of system power dissipation,” Proc. Design Automation Conf.,June 1997. 3. C-T. Hsieh and M. Pedram, “Micro-processor power estimation using profile-driven program synthesis,'' IEEE Trans. on Computer Aided Design, Nov. 1998. 4. L. Benini and G. De Micheli, “System-level power optimization: Techniques and tools,” Proc. Int. Symp. Low Power Electronics and Design, Aug. 1999. 5. T. Simunic, G. De Micheli, and L. Benini, “Energyefficient design of battery-powered embedded systems,” Proc. Int. Symp. Low Power Electronics and Design, Aug. 1999. 6. J. L. da Silva, F. Catthoor, D. Verkest, and H. De Man, “Power exploration for dynamic data types through virtual memory management refinement,” Proc. Int. Symp. Low Power Electronics and Design, Aug. 1999. 7. V. Tiwari, S. Malik and A. Wolfe, “Instruction level power analysis and optimization of software,” Journal of VLSI Signal Processing, 1996. 8. C.-H. Hwang and A. Wu, “A predictive system shutdown method for energy saving of event-driven computation,” Proc. Int.. Conf. on Computer Aided Design, November 1997. 9. E. Chung, L. Benini and G. De Micheli, “Dynamic power management for non stationary service requests", Proc. Design and Test in Europe Conference, March 1999. 10. Q. Qiu, Q. Wu and M. Pedram, “Stochastic modeling of a power-managed system: Construction and optimization,” Proc. Symp. on Low Power Electronics and Design,, August 1999. 11. T. Simunic, L. Benini, and G. De Micheli, “Dynamic Power Management of Laptop Hard Disk", Proc. Design Automation and Test in Europe, 2000. 12. Q. Qiu, Qing Wu, and M. Pedram, “Dynamic Power Management of Complex Systems Using Generalized Stochastic Petri Nets”, Proc. the Design Automation Conference, Jun. 2000. 13. H. Mehta, R. M. Owens, and M. J. Irwin, “Some issues in gray code addressing,” Proc. Great Lakes Symposium on VLSI, Ames, IA, USA, Mar. 1996. 14. W-C. Chung and M. Pedram, “Power-optimal encoding for DRAM address bus,” Proc. Symposium on Low Power Electronics and Design, July 2000. 15. K. Kim and P. A. Beerel, “A low-power matrix transposer using MSB-controlled inversion coding,” The First IEEE Asia Pacific Conference on ASIC, 1999. 16. L. Benini, G. DeMicheli, E. Macii, M. Poncino, and S. Quer, “System-level power optimization of special purpose applications: The beach solution,” Proc. Symposium on Low Power Electronics and Design, August 1997. 17. M. R. Stan and W. P. Burleson, “Limited-weight codes for low-power I/O,” IEEE Transactions on VLSI, Mar. 1995. Keywords: Robot, DOF, manipulator, forward kinamatics, DH notations. 2. B. Books, “ The cocktail Pasty that Gave Birth to the Robot” , Decade of Robotics IFS Publications, Bedford, England 1983. 3. D. Bakes and C. Wampeas, “On the Inverse Kinematics of Redundant Manipulators” The International Journal of Robotics Research 7(2), 1988. 4. C.L. Lai and CH Meng “The Dextreous Workspace of simple Manipulators.” IEEE Journal of Robotics and Automation, 107, 99 -103, Jan 1988. 6. Kumar A and Wald K.J. “The workspace of mechanical manipulators “ JOF Mechanical design 103.665-672 Jul 1981. 7. Johnson Colin G. and march Duncan, “Modeling Robot Manipulatees with multivariate B-Splines”, Robotica, 17(3), 239-247,1994. 8. Groova Mikell P, Weiss Mitchal, Nagel Roger N, Ordry Nicholas G, Dutta Ashish, “Industrial Robotics – Technology, Programmily and applications, special India Edition, Mc Graw Hill Education (India) Private Limited, Chapter 1-5. Abstract: Energy is used in our daily life in one or another way. Without energy our life is nothing. Energy sources can be broadly classified as conventional or non-conventional sources/ Non-Renewable or Renewable energy. Conventional sources of energy or non-renewable sources are going to be exhausted and become nil in coming future. Whereas the renewable sources of energy are abundant in quantity and will always present. The idea is to make changes in selecting the source of energy so, that we become eco-friendly and prevent ourself in going towards the dark & grim end of conventional sources of energy. 1. Tiwari G.N. Solar Energy, Fundamentals, Design, Modelling and Applications, Revised Edition, Narosa Publishing House, New Delhi (2014). Abstract: Change detection plays a vital role in overseeing the transformations on the earth surface. Due to the existence of speckle noise in SAR (Synthetic Aperture Radar) images, change detection becomes a challenging problem. Modified change detection in SAR images is proposed in this paper. It consists of four steps: Difference image generation using Gauss-log ratio operator and Log-ratio operator, image fusion using LEP (Local Edge Preserving) filter, image de-noising using Frost filter and to differentiate changed and unchanged regions in the fused image by using Reformulated Fuzzy Local Information C-Means (RFLICM)clustering. The proposed method is compared with Discrete Wavelet Transform (DWT) based change detection method using synthetic and real SAR images. The performances are evaluated by means of Overall Error (OE), Percentage Correct Classification (PCC), Kappa Coefficient (KC), Mean Square Error (MSE), Peak Signal to Noise Ratio (PSNR) and Segmentation Matching Factor (SMF). The results show that combination of gauss-log ratio operator and image fusion using LEP Filtering performs better than dwt based change detection. Keywords: change detection, gauss-log ratio, frost filter, local edge preserving (LEP), synthetic aperture radar (SAR). 1. E. J. M. Rignot and J. J. Van Zyl, “C ERS-1 SAR data,” IEEE Trans. Geosci. Remote Sens. pp. 896–906, Jul. 1993. 2. W. Cai, S. Chen, and D. Zhang, “Fast and robust fuzzy C clustering algorithms incorporating local information for image segmentation,” Pattern Recognit. 2007. 3. Biju V. G. , and P. Mythili. "A Genetic Algorithm based Fuzzy C Mean Clustering Model for Segmenting Microarray Images." International Journal of Computer Applications (2012): 42-48. 4. S. Krinidis and V. Chatzis, “A robust fuzzy local information C clustering algorithm,” IEEE Trans. Image Process. pp.1328–1337, May 2010. 5. Biju V. G. , and P. Mythili, "Fuzzy Clustering Algorithms for cDNA Microarray Image Spots Segm Science 46 (2015): 417-424. 6. Biao Hou, Qian Wei, Yaoguo Zheng, and Shuang Wang, “Unsupervised Change Detection in SAR Image Based on Gauss Ratio Image Fusion and Compressed Projection,” IEEE journal of selected topics in applied earth observations and remote sensing, vol. 7, no. 8, August 2014. 8. Bo,Gu, “ Local Edge-Preserving Multiscale Decomposition fo Dynamic Range Image Tone Mapping” IEEE Transactions on, vol. 22, no. I, January 2013. 11. Sivakumar, Member IACSIT, 2M. K. Gayathri and 3D. Nedumaran, Member IEEE, IACSIT “Speckle Filtering of Ultrasound B Image -A Comparative Study of Single Scale Spatial Multiscale Filter and Diffusion Filters” Vol.2, No.6, December 2010. Abstract: This work presents the design and practical implementation of an embedded system which can measure temperature of the environment and uses an ultrasonic sensor to measure the distance of objects ranging from 2 cm to 400 cm. The measured temperature is compensated to find the speed of the ultrasonic wave to obtain a more accurate distance measurement. The heart of the embedded system is a low-cost, low-power, and high-performance ATmega328P microcontroller from Atmel. The results showed that, using the TMP36 for temperature compensation improves the accuracy of the designed system. Keywords: Distance measurement, embedded system, microcontroller, temperature sensor, ultrasonic sensor. 1. Hannes Elmer, and Herbert Schweinzer, “High Resolution Ultrasonic Distance Measurement in Air Using Coded Signals”, IEEE Instrumentation and Measurement Technology Conference, pp. (1565-1570), Anchorage, AK, USA, 2002. 2. R. Raišutis, O. Tumšys, and R. Kažys, “Feasibility study of application of ultrasonic method for precise measurement of the long distances in air”, ULTRAGARSAS journal, pp. (7-10), Vol. 65, No. 1, 2010. 3. Md. Shamsul Arefin, and Tajrian Mollick, “Design of an Ultrasonic Distance Meter”, International Journal of Scientific & Engineering Research, pp. (1-10), Vol.4, Issue-3, 2013. 4. Rajan P Thomas, Jithin K. K., Hareesh K. S., Habeeburahman C. A., and Jithin Abraham, “Range Detection based on Ultrasonic Principle”, International Journal of Advanced Research in Electrical, Electronics and Instrumentation Engineering, pp. (7638-7642), Vol. 3, Issue 2, February 2014. 5. Hongjiang He, and Jianyi Liu, “The Design of Ultrasonic Distance Measurement System Based on S3C2410”, IEEE International Conference on Intelligent Computation Technology and Automation, pp. (44-47), 2008. 6. Radu TARULESCU, “Usage of Parallax Ultrasonic Sensors in Distance Measurements”, ANNALS OF THE ORADEA UNIVERSITY Journal, Fascicle of Management and Technological Engineering, pp. (393-396), Vol. XXII (XII), 2013/1, ISSUE-1, 2013. 7. K. Shrivastava, A. Verma, and S. P. Singh, “Distance Measurement of an Object or Obstacle by Ultrasound Sensors using P89C51RD2”, International Journal of Computer Theory and Engineering, pp. (64-68), Vol. 2, No. 1 2010. 8. K. Srilakshmi, K. Anitha, P. Rajesh Kumar, and G.R.L.V.N. Srinivas Raju, “Design and Implementation of Distance Measuring Digital Hardware”, International Journal of Electronics & Communication Technology (IJECT ), pp. (222-225) Vol. 2, SP-1, Dec . 2011. 9. Jie Liang and Zhiguang Guan, “Design of Intelligent Automatic Leveling Control System Based on Ultrasonic Distance Measuring Technology”, Proceedings of the IEEE International Conference on Automation and Logistics, pp. (1620-1624), Jinan, China, 2007. 10. 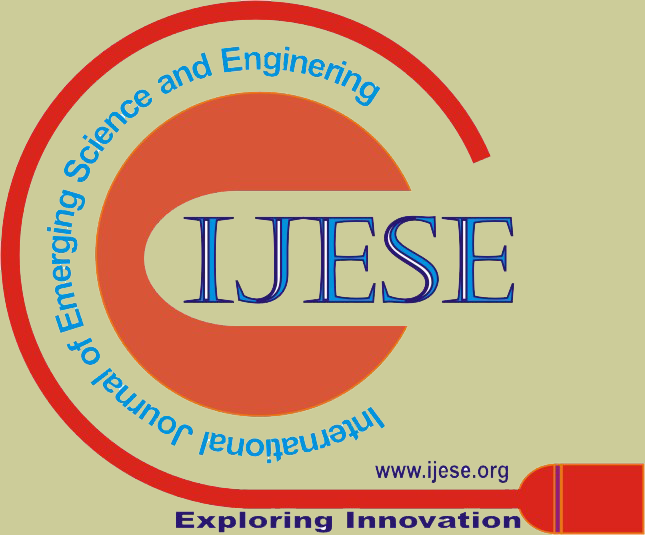 Vigneshwari C., Vimala V., and Sumithra G., “Sensor Based Assistance System for Visually Impaired”, International Journal of Engineering Trends and Technology (IJETT), pp. (4338-4343), Vol. 4 Issue-10, 2013. 11. Jeremy Blum, "Exploring arduino", 1st edition, John Wiley & Sons Inc., Indiana, USA, 2013. 12. Sai Prabha M., Roy K. S.,Shaik Mahaboob Ali, “Obstacle Avoidance With Anti Theft Mechanism System And Cabin Safety System For Automobiles”, pp. (1264-1268), International Journal of Engineering Trends and Technology (IJETT), Vol. 4, Issue-4, 2013. 13. Richard Barnett, Larry O’Cull, and Sarah Cox ,Embedded C Programming and the Atmel AVR, 2nd edition, Delmar, Cengage Learning, USA, 2007. 14. Simon Monk, "Programming arduino", 1st edition, McGraw-Hill, USA, 2012. 15. Thomas L. Floyd, "Electronic devices conventional current version", 9th edition, Prentice Hall, New Jersey, USA, 2012. Abstract: In this study, a connection is considered between vehicles shapes and emotions. Some investigations are presented in order to apply the methods and techniques of measuring the emotional power of selected shapes and specify the reasons of differences in emotional reactions elicited by one and the same shape. The obtained results can support designers in manipulating the emotional impact of the contemporary vehicles, and they are applicable in training of new designers. 1. G. C. Cupchik, “Emotion and industrial design: Reconciling meanings and feelings”, in C. J. Overbeeke, P. Hekkert (Eds. ), Proceedings of the 1st International Conference on Design and Emotion, Delft: Delft University of Technology 1999, pp. 75-82. 2. P. M. A. Desmet, Designing Emotions. PhD thesis, Delft: Delft University of Technology, The Netherlands, 2002. 3. P. M. A. Desmet, P. Hekkert, “Framework of product experience”, Int. J. Design, 2007, vol. 1(1), pp. 57-66. 4. P. M. A. Desmet, S. J. E. T. Tax, C. J. Overbeeke, “Designing products with added emotional value: development and application of an approach for research through design”, Design J., 2000, vol. 4(1), pp. 32-47. 5. P. Jordan, Designing Pleasurable Products: An Introduction to the New Human Factors, London: Taylor and Francis, 2000. 6. D. Norman, Emotional Design: Why We Love (or Hate) Everyday Things, New York: Basic Books, 2004. 7. T. Stamov, Emotional Influence in the Form-formation of Contemporary Vehicles, PhD Thesis, Sofia: Technical University of Sofia, Bulgaria, 2013. 8. G. Burrell, Styles of Organizing. The Will to Form, Oxford: Oxford University Press, 2013. 9. F. D. K. Ching, Architecture, Form, Space, and Order, (3th ed.) New York: Wiley, 2007. 10. J. Itten, Design and Form. The Basic Course at the Bauhaus and Later, New York: Reinhold Publishing Corporation, 1964. 11. L. Zitzmann, B. Schulz, Dokumente zur Visuell-gestalterischen Grundlagenaus Bildung, Halle Burg Giebichenstein, 1990. Abstract: In the epistemology of business, a critical question would be how one will be able to assess the data and determine business theory? Utilizing empirical study and using inductive or deductive methods in testing hypotheses one will be able to arrive to conclusion in the quest of business knowledge. This study describes the two epistemological approaches in assessing research objectives which are Foundation list and anti-foundation list approaches namely : critical rationalism and social constructionist are utilized in attaining business knowledge and checking the linkage of objectives in the research design . The approaches are appraised and compared fully in this work. 1. Bransford, Brown, & Cocking, Becker (2002).How People Learn? 3. Cooper,D. and Shindler. (2006). Business Research Methods .Singapore: McGraw-Hill. 5. Cobern, W (1993) Contextual Constructivism: The impact of culture on the learning and teaching of science. In: K. Tobin (Ed) The Practice of Constructivism in Science Education, pp 51-69, Lawrence-Erlbaum, Hillsdale, NJ. 6. Cole, M. & Wertsch, J. V. (1996). Beyond the individual-social antimony in discussion of Piaget and Vygotsky. Human Development, 39, pp 250-256. 7. Costa, A. & Liebmann, R. (1995). Process is as important as content. Educational Leadership. 52(6), pp 23-24. 8. Ellis, C. (1996). Evocative Autoethnography: Writing Emotionally about our lives. In: W.G. Tierney and Y.S. Lincoln (Eds) Reframing the Narrative Voice. 9. Gergen, K.J. (1995) Social Construction and the Educational Process. In L.P. Steffe & J.Gale (Eds) Constructivism in education (pp 17-39). Hillsdale, New Jersey: Lawrence Erlbaum. 10. Gergen, Kenneth J.; American Psychologist, Vol 40, No 3, March 1985, Swarthmore College. 12. Johnson,P. and Duberley,J. (2000).Understanding Management Research. London: SAGE Publications. 15. Steier, F. (1995) From Universing to Conversing: An Ecological Constructionist Approach to Learning and Multiple Description. In L.P. Steffe & J.Gale (Eds) Constructivism in education (pp 67-84). Hillsdale, New Jersey: Lawrence Erlbaum. 18. Tobin, K. & Tippins, D (1993) Constructivism as a Referent for Teaching and Learning. In: K. Tobin (Ed) The Practice of Constructivism in Science Education, pp 3-21, Lawrence-Erlbaum, Hillsdale, NJ. 20. Von Glasersfeld, E. (1990) An exposition of constructivism: Why some like it radical. In R.B. Davis, C.A. Maher and N. Noddings (Eds), Constructivist views on the teaching and learning of mathematics (pp 19-29). Reston, Virginia: National Council of Teachers of Mathematics. 21. Vosniadou, S. (1996). Towards a revised cognitive psychology for new advances in learning and instruction. Learning and Instruction 6, 95-109. 22. Vygotsky, L. S. (1978). Mind in society. Cambridge, MA: Harvard University Press. 23. Wood, T., Cobb, P. & Yackel, E. (1995). Reflections on learning and teaching mathematics in elementary school. In L. P. Steffe & J.Gale (Eds) Constructivism in education (pp 401-422). Hillsdale, New Jersey: Lawrence Erlbaum.